The Year of the Monkey is the eleventh in Oliver Chin’s highly acclaimed Tales from the Chinese Zodiac series and is another winner, combining the playfulness that makes the stories so appealing to young readers with some good role-modelling based on the characteristics of each animal in the twelve-year cycle. This story has the added bonus of The Monkey King and Queen’s place in Chinese mythology too, and Chin brings them of age here, setting the dynamic of mature parents vs. adventurous youth beautifully, contributing an important layer to the story. There are several laugh-out-loud moments, and Chin certainly doesn’t miss a trick in exploiting every possible monkey trait and allusion, while confidently setting the story within its anthropomorphic framework – so Max loves climbing; and when he gets excited he yells, ‘Oo-oo, Aa-aa’. I think young readers are going to love joining in there; and there will certainly be plenty of appreciative groans in response to such wordplay as ‘The crowd has gone bananas!’. Whilst Chin is the author of all the Tales from the Chinese Zodiac, several illustrators, all with a background in animation, have contributed their talents to the series. The Year of the Monkey introduces Kenji Ono; and the cover is enough to demonstrate that the illustrations are as energetic as the narrrative: in fact, they make readers leap about just like a monkey themselves, encompassing a variety of persectives and viewpoints. They fill in a wealth of unspoken details and readers will also be able to seek out all the other animals of the zodiac in various guises. Details such as the Chinese schoolroom equipped with ink blocks and brushes as well as the backgrounds, including iconic mountainscapes, all contribute to the strong Chinese identity of the story: more so than other books in the series, and appropriately so, given that the story relates to the Monkey King (and the Jade Emperor makes an appearance too). 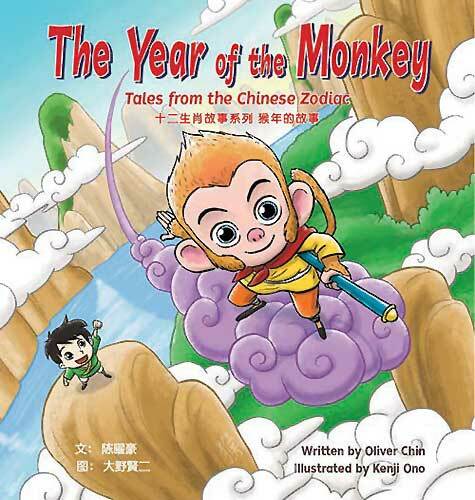 Children will love the energy of both the narrative and the animation-inspired pictures in The Year of the Monkey – and alongside the humour there is a depth to the story, as young readers observe how Max doesn’t give up when he realises that Jianzi is harder than he first thought and also learns to save his mischief for playtime. The book is another great addition to the Tales of the Zodiac series, as well as a thoroughly enjoyable stand-alone story for this Year of the Monkey and beyond. Read MWD’s interview with author Oliver Chin (2014). Download colouring pages of characters from The Year of the Monkey and the other books in the Tales from the Chinese Zodiac series. children's books for Chinese New Year, Kenji Ono, MWD book reviews, Oliver Chin, Tales from the Chinese Zodiac Series, The Year of the Monkey. Bookmark. Thanks for making people aware of this great resource! As an ESL teacher it’s always good to know about bilingual books. By the way,I lived in China for three years (many years ago), and the tv series about the monkey king was very popular. I remember enjoying a sub-titled series from China about the Monkey King some years ago – I don’t know if it’s the same one, but it was so different to anything else i’d ever seen. 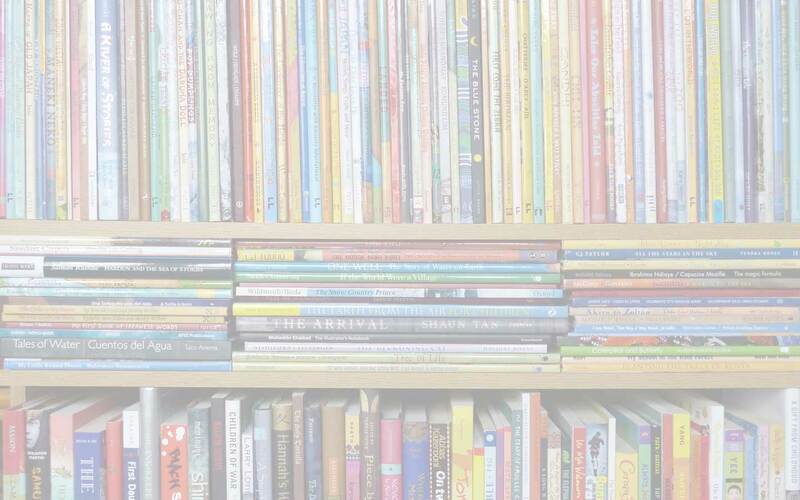 And I agree with you about bilingual books and their role in language-learning.